Join us for a picture perfect vacation in BC's North Okanagan! 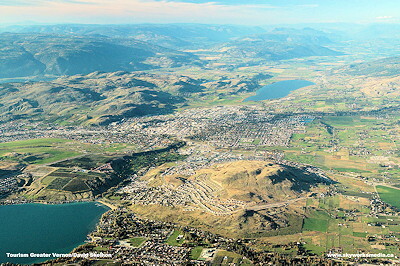 Vernon, British Columbia, is a clean, bright city carefully placed in the North Okanagan Valley like a crown jewel between three sparkling lakes; Kalamalka Lake, Swan Lake and Lake Okanagan. 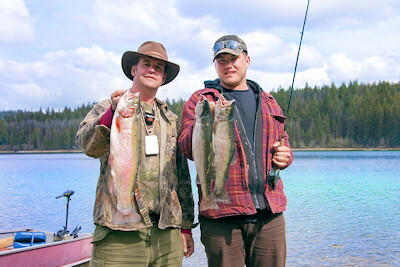 These and other Okanagan lakes can offer the visitor a host of outdoor activities from swimming, boating, fishing to camping and houseboating. The nearby hills draw hikers, horseback riders, mountain bikers and campers. The nearby ski resort, while primarily known for first class alpine and nordic skiing, offers additional recreations activities year round. 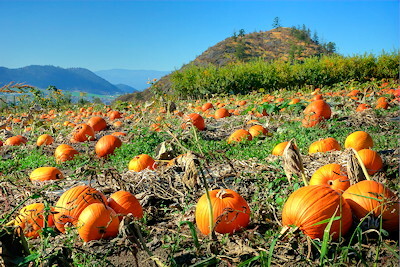 Summer and fall visitors to this part of British Columbia will also delight in the abundance of fresh fruit from the many nearby orchards and farms. Whether you come to Vernon in the warmer months to enjoy the many outdoor recreational activities, the wonderful BC produce, the winery tours and sights of the city or come in the winter to experience the Vernon Winter Carnival plus skiing, snowmobiling and more, Vernon has something to offer regardless of the season. 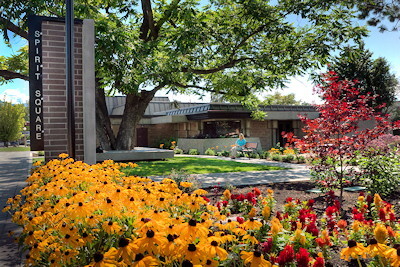 Vernon is the oldest incorporated city (1892) in British Columbia's beautiful Okanagan Valley, and for more than a century, it has welcomed people attracted by its character and physical beauty, along with its economic and cultural diversity. A mural project showcasing many of the cities historical features has become a popular asset for downtown Vernon. In addition, the older residential neighbourhood of the East Hill contains many of Vernon's heritage homes, as well as a large number of mature trees. Vernon is home to a large and diverse arts community, so chances are you can catch an art exhibit, play, or a musical performance throughout the year. while maintaining a strong connection with the past that lend a sense of stability and continuity to the community. Accommodations: There are many hotels and motels, bed & breakfasts, and half a dozen private and provincial campgrounds. Accommodations range from full-service, to economy rooms with a variety of amenities. 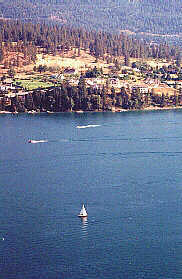 A number of resorts and lodges also operate on nearby Okanagan lakes. Access: A strong highway system provides Vernon access to many major destinations; 441 km (273.4 mi.) to Vancouver via the Coquihalla Highway, to Calgary it is just 556 km (344.7 mi.) on the Trans Canada Highway, and to Seattle it is 550 km (341 mi.). The Vernon airport services the area, and Kelowna International Airport is close by. There are also two railway lines, in addition to bus, taxi, and limousine service. The 10 day Vernon Winter Carnival is Western Canadas largest winter festival. 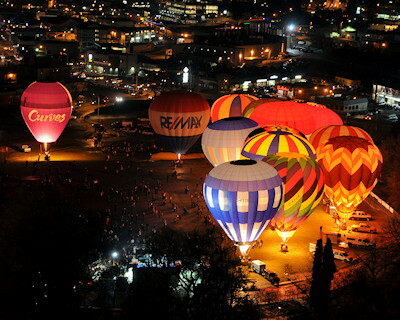 The photo above was taken at the balloon glow event. The next day, up to 20 hot air balloons take part in a race through the Vernon area.